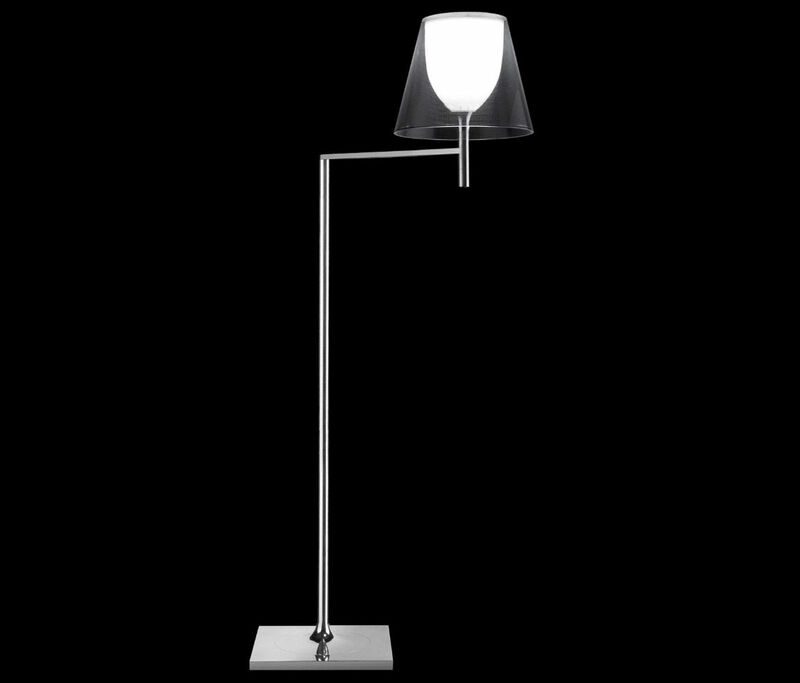 Floor lamp providing diffused lighting, a switch located near the diffuser allows for 4-level light adjustment via a "remote" dimmer positioned on the power cord near the plug. 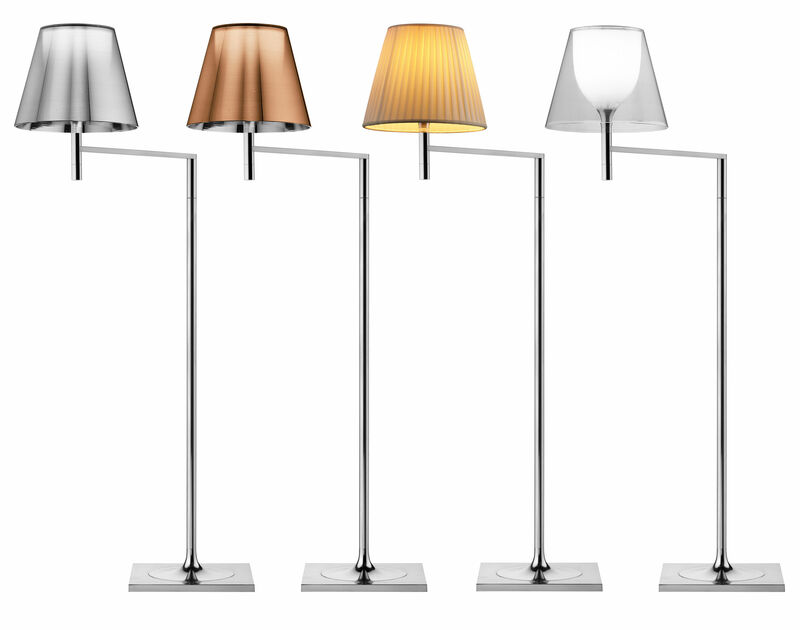 Base and rod support in die-cast, polite chrome-plated finish. Rod, arm support, arm and diffuser support in polished aluminum tube. Molded steel counterweight with galvanized finish. Injection-molded PC (polycarbonate) inner diffuser opal color. Outer diffusers in transparent PMMA (polymethylmethacrylate), silver or bronze on the inner surface, by vacuum aluminum coating. Injection-molded PC (polycarbonate) upper ring, completely transparent, or transparent brown for the outer bronze diffuser.